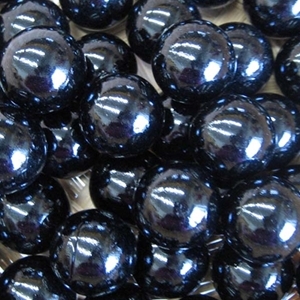 MoonMarble.com - Opaque Black 1"
Bulk Marbles → Boulders - approx. 25mm or 1" → Opaque Black 1"
The 1" Opal Black game marble is available packs of 12 or 100. This size marble may sometimes have creases or cold rolled marks. They are usually not as smooth as the smaller size marbles. Sizes may vary slightly. Warning! : Choking Hazard. This toy is a marble. Not for children under 5 years.